How Families Can Handle Laundry Issues? It’s often found that laundry issues are related with how they are improperly handled. 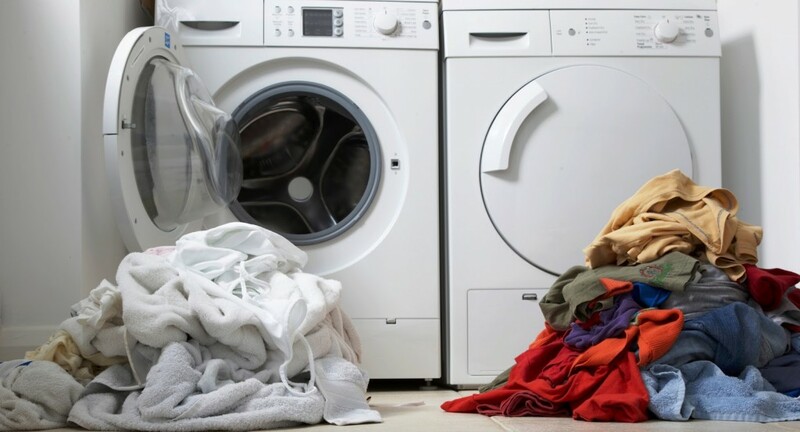 Laundry may seem like a trivial matter, but this could cause so much problem in the long run. Things will be much easier if we can decide not to sweat. However, in a humid summer day; dirty laundry seem to pile up much too quickly. It is important for families to be able to get ahead of the problem by managing the dreaded laundry issues. There are many things that could happen when we don’t handle laundry issues well.. “Where are my socks?” This is a simple question, but could have a troublesome implication. Searching for socks throughout the house can be quite difficult, especially if we are in a hurry. Things can be worse, if we have dozens of unmatched socks and we can wear none of them. This problem can be caused by our poor buying decisions. The next time we purchase socks, we shouldn’t choose those with different designs. We may purchase five pairs of affordable It’s clear that a simple change in buying decision could prove to be a significant time saver. We will spend no time looking for a match for our sock. Logistics are also things that we should consider if we want to manage laundry properly. As an example, we should know how many hangers we have. Without enough hanger, we will have a mess of folded clothes and ironing them will be a much longer task to complete. Damp clothing often straighten itself when hung and we will be able to iron them much more easily. It is also important that we prepare the storage area properly. It means that we should be able to hang most of our clothing. This requires proper design plan since the beginning. It’s also important to determine how the dirty laundry could get to our washing machine. This shouldn’t be the hardest thing to do; in fact, there should be a straightforward way to do that. It is important that all family members are instructed to put dirty laundry in the specific area, instead of throwing them randomly around the house. To make things easier, dirty laundry should be placed by family members directly to the laundry room. If everyone agrees to do this, the problem can be solved much more easily. It is even better if family members are willing to separate clothing by the type; so clothing can be washed with proper methods. Laundry management inside the house shouldn’t be a complicated matter and we should only apply the proper funneling system. This should be an automated system of concentrating many items to a predetermined location. The person who is given the task to do the laundry will find it much easier to do his or her task. This is like a manufacturing process in big factory where items are delivered to the right places. There’s also a degree of priority that we need to implement. As an example, clothes for work and school should be prioritized and washed first. So, clothing should already be neatly ironed out when it will need to be worn.